Have the chance to join one of our create a character workshops this Easter and make you very own Easter Bunny cuddly toy, complete with name/birth certificate. 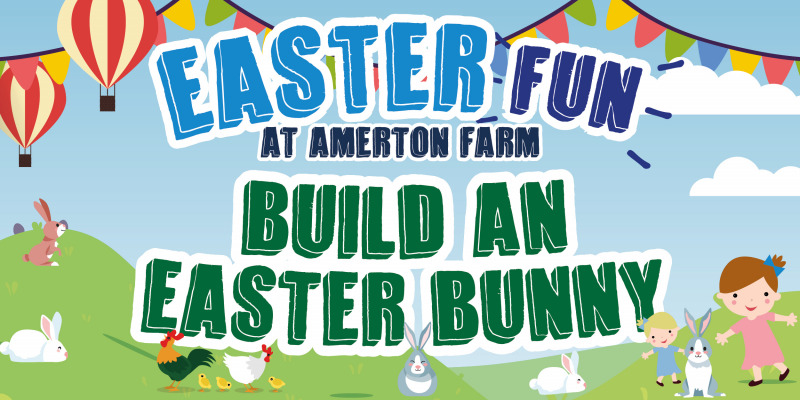 Create your very own souvenir from your day out at Amerton Farm. Tickets only available by online booking. Time selected is for the create a character workshop itself, entry to Billy’s Farm Barn from 9.30am. We do advise that you ensure you are in Billy’s Farm Barn, at least 30 minutes prior to workshop start time. Workshop lasts approximately 30 minutes, the rest of the day is yours to enjoy Billy's Farm Barn, including indoor and outdoor play, visit the animals, tractor and trailer ride, etc.